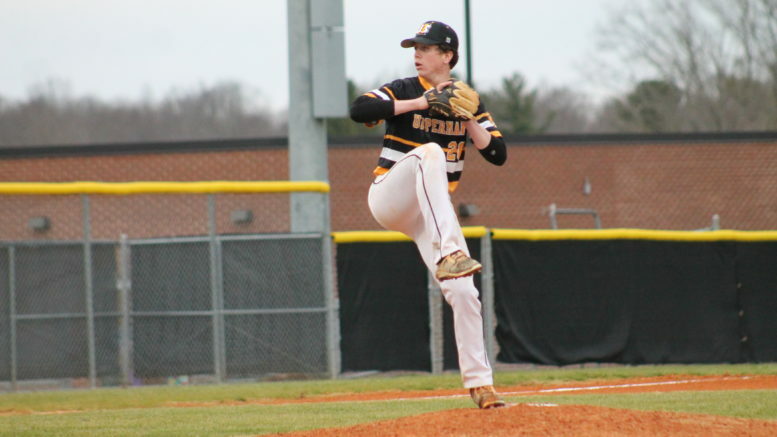 The Bees opened up the District season facing off against rival Livingston Academy in Upper Cumberland Reporter’s first Live Stream Baseball game of the season! Great pitchers dueled at U.T. signee Will Mabrey, from UHS, and Cade Hammock of LA partook in a pitcher’s delight! Mowing down batters and giving up scratch hits in a tight game! UHS walked away with a victory of 2-1. Cole Bush and Eric Farley picked up 1 hit a piece and each had 1 RBI. Mabrey pitched a gem, keeping the LA batters off stride and struck out 14 while giving up 4 hits. Did you miss the game? No worries, UCR has got you covered! Click here –>https://www.facebook.com/uppercumberlandreporter/videos/267163370872552/ to watch the show!